The first option is to play the original game cartridges on original consoles. This has become the least cost effective method over the years, as continual interest and demand for games has inflated game values, and the simple law of supply and demand sets in. There are fewer and fewer games available, so things get pricey. Aside from the cost factor, older consoles do not produce a video signal conducive to a clear picture on HD TVs. The technologies of then and now do not translate, and there are compatibility issues. This can be remedied through a serious of specialized cables and/or console modifications, plus a video up-scaler of some kind. Playing original hardware is the only way to ensure that the game plays exactly like you remember it to. Of course this all gets expensive, and is only recommended to the very dedicated. Most likely if you're not in this camp by now, it will be difficult to go this route. An Everdrive is a cartridge that plays roms from an SD card on your original console. Since the code of the rom is the same as on an original cartridge, and an original console is in use, the playing experience is indistinguishable from that of an original cartridge. This is an appealing option to many as mentioned above, the prices of games can get out of hand. Wherever you stand morally on the issue of using downloaded roms is not the debate here, it is just an option among many. Different people use Everdrives in different ways. Some load entire rom sets so that every single game can be played. Some use it to play rom hacks, homebrews, and other games that do not exist in cartridge form and this is the only way to play on an original console. I have found it to be a very convenient option to load the roms that I own onto my Everdrives, and leave it in the console. This reduces the wear and tear on the connecting pins. Of course you have the same issue of TV connectivity to contend with. While most older consoles are relatively inexpensive, there are advantages to playing on a clone console over original hardware. The main one is HD connectivity. Most clone consoles worth mentioning output 720p HD signals via HDMI, making them ready to plug and play. There are an increasing number of options out there, ranging from bare bones to fully-fledged FPGA hardware systems with no input lag (no emulation). As the range of options diversifies, so do the price ranges. I am only considering HD systems, as I don't know why anyone would use a clone that was composite video (at that point just use an original console!). These are not all of the options, just the most accessible. I can't review all of them, as that would require access to all of them, but rest assured there are a ton of reviews out there for all of them. Prices are current as of this posting and do not include cartridge adapters. The fourth option is to use Nintendo's Virtual console. This service is available on the Wii (and WiiU). How it works is you purchase points using a credit card, and points can be used to download whatever games are available. Not all games cost the same number of points, but end cost ranges from about $5 for NES games, $8 for SNES games, and $10 for N64 games. Genesis and Turbo Grafx-16 games are also available for comparable prices. All told, these are reasonable prices for legitimate versions of these games, especially for games that are rare and/or pricey. There are a lot of titles available, but there still may not be your favorite game available. The emulation is decent, but the picture on the WiiU VC has a darker appearance, and some added blur for some reason. Keep in mind that the only controllers that can be used are the ones that have the Wii proprietary connector, or are compatible with the Wii/WiiU. There are not too many options, but the first party Classic Controller Pro is pretty nice. Depending on when you read this, games may no longer be available as Nintendo is planning on shutting down this service for these consoles, so what you have by that point is what you have. A novel approach for causal gamers, and a recurring holiday gift, plug n' play consoles have existed for a while now, with low expectations for quality. Since you can buy these at Bed Bath and Beyond, you can tell that the target audience is not the connoisseur. Atari and Genesis have been the main culprits, as these have flooded the market until recently. When Nintendo released the NES Classic Edition, the bar was raised as this marks the first time a first-party developed device was released. Playing on the nostalgia of the casual or non-gamer, this item was hotly anticipated and scalped to the extreme. Nintendo gravely miscalculated demand as to this day you will pay anywhere from two to three times the msrp on the secondary market. The quality of the system, build quality, game selection, and playability are all what you expect from Nintendo, further adding to the desirability. Nintendo then doubled down the next year with the SNES Classic Edition. While more units were produced, it is still a difficult item to walk into a store and purchase. The gameplay is just as good as the NES Classic, yet there are fewer games, 21 on the SNES compared to 30 on the NES. The upside is that these compact, simple units with some of the best games on each system for a reasonable retail price. The downside is that there are only 21 or 30 games on them and you cannot actually acquire them for a reasonable retail price. The company At Games, which produced Sega's Genesis plug 'n play console ($40), upped their game and released an HD version ($70) of the plug 'n play Genesis, this time with a cartridge slot! This is worth mentioning as it is the first of its kind. It does come with an advertised 85 games preloaded, yet expect about a third of those to be filler "bonus" games that are not actually Genesis games. It comes with wireless RF controllers, but you can use your own controllers as well. It has mixed reviews across the board. The Retro-Bit Generations ($40) was a plug'n play console with licensed games from Capcom, Irem, Data East, and Jaleco. This was apparently pretty bad from a gameplay standpoint. Retro-Bit subsequently released the Retro-Cade ($60), which improved emulation, and swapped Jaleco games for Technos games. There are over 90 licensed games, mainly arcade versions, with some from NES, SNES, and one Genesis game. What makes this different is the emphasis on the arcade games selected. It may be worth noting that the NES Classic, SNES Classic, and Retro-Cade can be hacked to play additional games. If you favorite game is not on one of these systems, you can add more games through some very minor hacks. RetroPie is a free program that lets you play various emulator programs under one front end, Emulation Station. 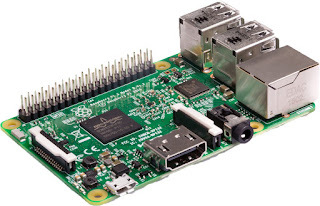 The Raspberry Pi single board computer is the popular hardware to run it on. There is an emulator for all of the popular systems from Atari all the way through Dreamcast, although the performance on Dreamcast and N64 is notoriously shaky. Everything prior to those is pretty good. This takes quite a bit of know-how, and the learning curve can be steep, depending on how computer savvy you are an how much customization you want to do. Again we are dealing with the acquiring of roms issue. I chronicled my experience with RetroPie here. This is more of a deep dive than a casual device, but there are prebuilt Raspberry Pi systems for sale online. I have setup RetroPie sets for some friends, and from their perspective, it is the best thing since sliced bread. If it is setup already, it can be straightforward to use, but it is also easy to muck things up if you start messing around with settings. It was rewarding for me to research and figure out how to set this up, but the average person is not going to. I have a Mac, and the easiest option I have found was Open EMU, but there are far more options for PC. Essentially you get roms from somewhere, and drag them into the emulator, and they play. Once you know where to get roms, this is super easy. You can customize, add picture files to the icons, save states, and so on. I played around with it for a while, and it seems to play the games fairly well; I couldn't in my limited testing determine any major faults. I used an iBuffalo controller (the same one I use with RetroPie) and lag was not very apparent, although I am sure it was still there. To me this is the least appealing option to me, as I don't enjoy gaming at a desk. Some people don't mind though, and it is definitely an option. 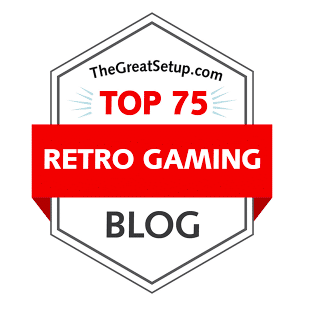 My purpose is writing this up was to provide the breadth of gaming options to someone looking to get into retro gaming. Anyone who has been following the hobby already knows a great deal of this info, but maybe something will pop up that they didn't know.